I recently met someone very special and with an altruistic passion for improving education and for bringing it to the less fortunate. Discussing alternative education models for the less privileged with him the memories of that summer I spent in an Honduran slum came back as vivid as ever. It was 2003 and I was about to graduate from university and join a large professional services firm. 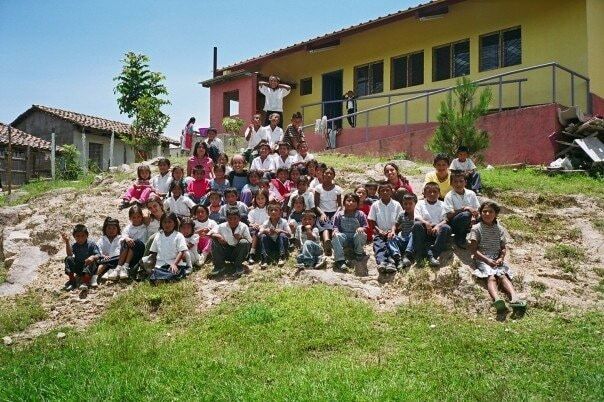 A friend of mine suggested the idea of spending our last summer in Honduras, with an education-focused Catholic NGO helping out at their schools and kindergartens in marginalized areas of the capital and the rural parts of the country. She had found out about it through her church group and was looking for a friend to tag along. I was never a religious person but the project and its ideals resonated with me. 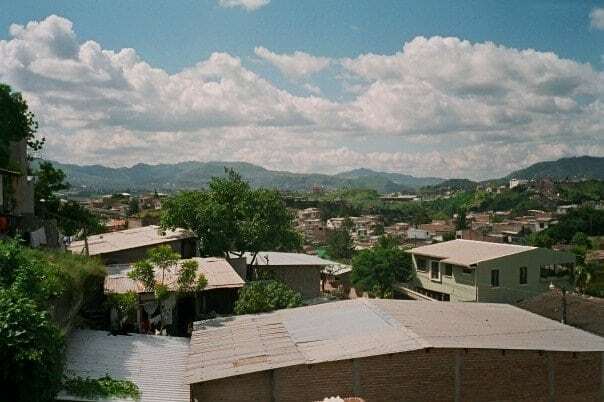 Honduras is at the bottom of the social and economical development scale. Around 80% of the population lives on less than $2 per day. Literacy rate is barely 50% and even among the youth it only reaches 70%. Violence and drugs are pervasive and domestic violence is an increasingly worrying concern. Employment rate falls below 50% of the registered 37% of the population and only a forth of the women work for a significantly lower salary than their male counterparts. Children suffer the most. Orphans and addicted to glue, many of the poorest children don’t have access to food, healthcare or even a roof over their heads. The NGO, called ACOES, was founded in 1996 by Padre Patricio, a Spanish priest from Granada who moved to Honduras in 1992. His story is one of personal sacrifice and strong belief in the betterment of society through proper education and he has devoted all his life to this goal. Under his supervision there are today over 10,000 students spread across 10 schools, kindergartens, distance-learning radio-based programs for those living in the most remote parts of the country and also other initiatives around adult learning, basic healthcare, prevention and food centers. ACOES also provides the most basic level of support to those living in the worst conditions: drug-addicted children sniffing glue and pregnant single, homeless and abused mothers. Those society seems to have forgotten about. Seeing homeless and abandoned children sleeping in refuse piles by the public market trying to keep warm with the heat generated by the fermenting trash was one of the most heart-breaking sights I will ever witness. In 2012, ACOES helped out over 40,000 people through donations, basic support, education and sanitization through private and institutional donations amounting almost Euro 1,5 Million, all of which is entirely dedicated to the projects without any administrative costs. At the time I did not know much about the organization as information was scarce and communications with Honduras at that time were limited. 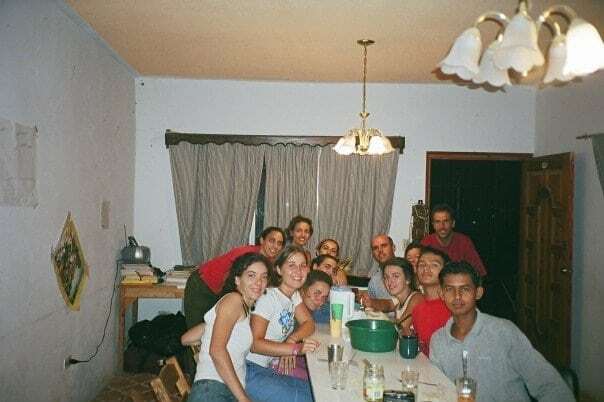 There was an internet café close to the Padre’s house but the connectivity was unreliable at best (remember the time of IM and dial-up?). And after all, the Padre and his team were not there to keep everyone else informed but to provide opportunities to thousands of impoverished and disadvantaged children and youth. We attended a few meet-ups in Barcelona with volunteers who had already been there and got enough level of comfort to take the leap. Once we had decided we were going we had to save enough money to pay for the flight and for our expenses there. The organization would provide us with accommodation but we had to procure for our food and transport. It turned out this was a very small amount and we were spending about 6 euros a week on food and probably a similar amount on public buses and pick up trucks. We booked our flights to San Pedro Sula from Spain. Upon arrival we were supposed to take a bus to Tegucigalpa and then a taxi to Colonia Monterrey, the slum where the organization was located, then ask for the yellow house. Traveling all the way from Spain with such bare directions felt daunting. What if we could not find the yellow house? Several of the cities with the highest murder rate in the world are in Honduras so to my friend and I this felt like a very courageous adventure. Of course, we were young and looking for excitement so we did not think too much about that, we simply dived in. When we arrived in San Pedro Sula the teachers had decided to go on strike and block the roads so the bus service had been suspended indefinitely. There was no indication as to whether we could travel on that day, the next or even during that week. In the traditional fashion we would quickly become accustomed to nobody seemed too stressed about the uncertainty or the lack of information, this is the daily life in Honduras. Desperate to arrive we bought a plane ticket to Tegucigalpa instead. The capital immediately revealed its chaos and extreme poverty: A mesh of tarpaulin and mud huts vulnerable to the many hurricanes and storms that hit the country (hurricane Mitch destroyed 70% of the already basic infrastructure). We walked out of the tiny propeller plane and onto the tarmac, a landing strip that ends only a couple of meters away from the main artery into the city. To our amazement, when we made it to the Colonia Monterrey, everybody knew who the priest was and where the yellow house was. Granted, our white faces gave it away and everyone knew what we were there for and immediately started to friendly shout “espanoles” at us. We had arrived. For the following two months we spent the days sharing the house, one of the few brick houses in the entire slum, with other volunteers from Spain, from all walks of life but with a strong vocation for education and for helping others. Some had come for the summer, to learn and to help out, others had been staying there for longer and some of them had no plans of returning back to Spain. 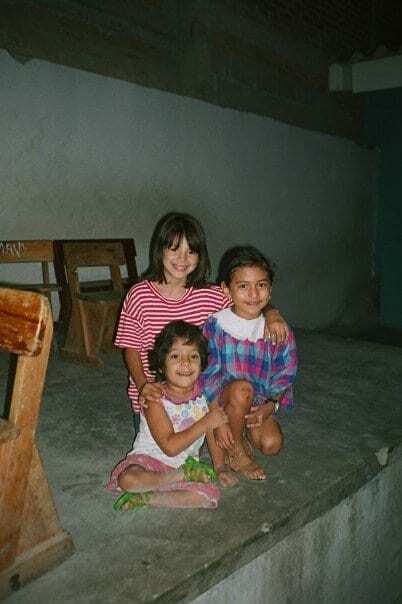 Instead, they had decided to devote the following months and possibly years, to contributing whatever they had to making the lives of all those Honduran children better. Accommodation and general conditions were very simple. 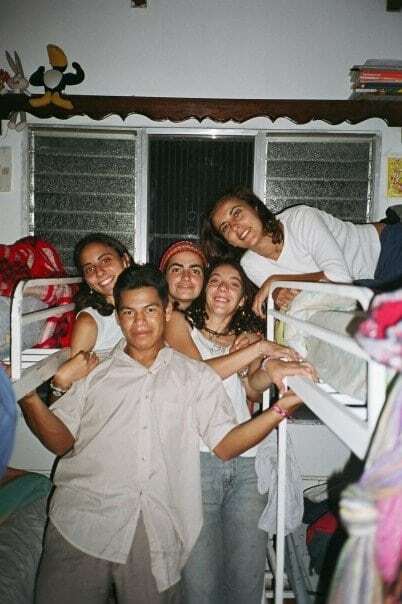 We slept on thin mattresses on the floor a few times when there were more volunteers than beds and when there was enough space we shared bunk beds in common rooms. The house was well known to everyone in the neighborhood and it was located in front of the Priest’s house which included a basic church and the project’s administrative infrastructure: a few cabinets, documentation and a couple of computers. We had no running water and electricity was regularly cut. Washing and showering had to be done with buckets of cold water and I never truly mastered the skill so half way through our stay I decided to braid my hair for lack of a better idea about how to keep it tidy, although that made it even harder to wash. I could have also shaved it all off, like some of the other volunteers, but I kept hope that I could maybe save it when I would go back home. I was wrong on that one. After so many weeks of not properly washing it and of sun, dust and dirt stuck on it I had to cut it short. I learned how to hand wash all our clothes including our bed sheets, jeans and all other garments. It was tough and it sure left me with blisters on my fingers from scrubbing and rubbing. The dirt settled everywhere and it was very difficult to get it out. We were there during the rainy hot humid season so the dust that covered everything turned to mud regularly and the children we were all day working and playing with had not washed in days so we were always covered in dirt. All of my clothes had to be thrown away after the trip as nothing could be saved. They were either broken, too dirty or simply unusable after only two months. In the house, we had no privacy, there were no doors, not even in the bathroom where a thin curtain tried to provide some comfort, so we all just had to tell the other when we were going to use it so nobody would pass by the door. That was not always a successful strategy. The girls stopped shaving legs and armpits and we quickly integrated with the local ways of life. Shaving and any other “vain” activity seemed plain wrong and unnecessary, a waste of money and precious time and truth be told, the kids could not care less about the way we looked, they could see the goodness and the care through that. A smile goes a long way when you have nothing. Life in a slum in one of the poorest and most dangerous countries was tough. There was a curfew every night and we all had to be back when the sun set. At dark, you could hear the drug lords and the violent youth bands “Maras” fighting and shooting at each other. At that time, I never felt scared or in danger despite the walls of the house having been hit at some point by bullets, life was indeed a very cheap commodity. The Priest was well respected and everybody agreed he was doing incommensurable good so we were all treated with respect and admiration by extension. And because we were generally whiter than the locals, we were easily spotted. It was as if we were inside a protective bubble. I always felt save. Kids would call us to say hi, they would play with us and everybody would nod good morning and good evening. We were quickly accepted as part of the clan and everybody knew our names. We did however respect the curfew because the risk of being caught in crossfire was very real. It was scary but I always felt as if an angel was watching over us and nothing could happen. I had this feeling for the duration of my time in Honduras. Despite the apparent hardship I was happy during all of my time there. It looks like a tough time when explained on paper or shared with others but it was a deeply inspiring and enriching experience and at no point did I ever think that we were having a tough day or a tough time. Our life was just how everybody else’s life in the slum was only that for us it was temporary whereas for most Hondurans this was the only life they would ever see. The only difference? We had been lucky enough to get an education and that meant that we would have a roof over our heads and would not get our feet wet at home when it rained. A world of opportunities had opened thanks to our chance at progress. What I learned in those two months only became apparent after returning home and it has grown deeper and deeper through the years. I couldn’t spend any money once I was back home. Every time we would go out or spend money on anything I would think of it in Honduran food and education terms. A lunch in Spain was a week’s worth of food for a family. A dinner out for two would pay for the education of a kid for a year. AN ENTIRE YEAR. I just could not reconcile there could be such disparity and injustice in the world. When I came back the learnings and life lessons became apparent and I slowly understood that what we were taking with us and what we had lived through was a precious gift I was immensely grateful for. I discovered the happiness that can only come with having a purpose, one that goes beyond oneself and which contributes to an ulterior good. I did not know I was so happy until I developed the photograph (there were no digital cameras back then). I was smiling and genuinely in peace with myself and the world in every single photo despite living in absolutely simplicity. We realized that material possessions do not provide happiness. I can’t think of any other time in my life when I have been as happy and content with myself and with life than during those two months yet I had nothing at all. My few possession were shared with everyone. We had no privacy, very limited personal time and simple comforts. We had a common pot for money to buy food and water for the house and we cooked and cleaned together. On the many occasions when I slept on a mattress on the floor I shared the space with large tropical cockroaches. I saw them running away when I would turn on the lights. Today this sets me off running as if I had seen a ghost. Back then, there was a strong sense of resilience and acceptance, even a slight feel of guilt for complaining for such unimportant things. Yet when comparing with the smiley and optimistic Honduran people we interacted with we were inexplicably fortunate. We had a better chance at life simply because of where we had been born. It seemed like such an unfair reason. ACOEs taught me the incomparable value of having an education and the impact a single individual can have on the lives of many with the right intentions and the deepest of sacrifices. Padre Patricio and ACOES genuinely believe that you can move mountains with the right solidarity and social commitment. Everybody in the project is a volunteer and nobody gets paid. 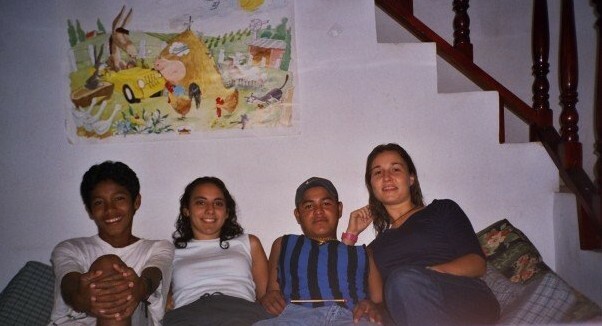 The experiences shared between underprivileged Hondurans and the Spanish volunteers who have the courage to visit build the bridges that serve as the foundation for a hopeful future. 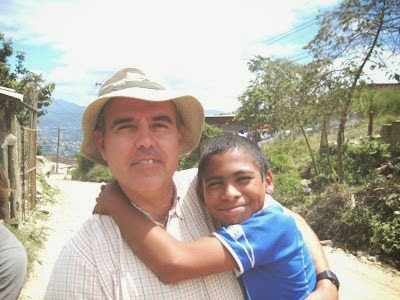 Since he arrived in Honduras in 1992 Padre Patricio has worked to build a self-sufficient organization which has changed the lives of many and he has a very simple but effective model. 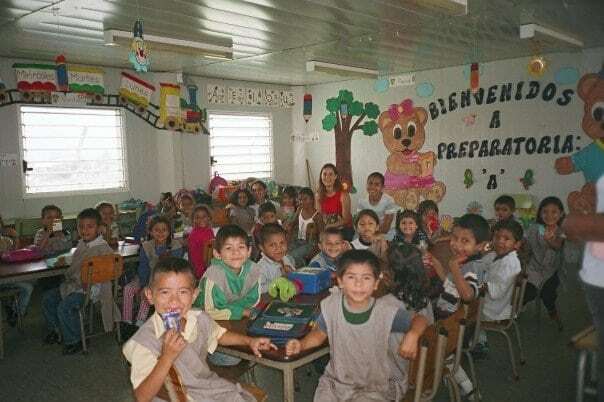 The older students getting an opportunity to go to high-school and university are the ones that manage the projects and the administrative side under the supervision of the Padre. They do not get a salary but they are learning great life lessons on discipline, respect, generosity and gratitude. This also ensures that the projects and the entire organization has no administrative costs. 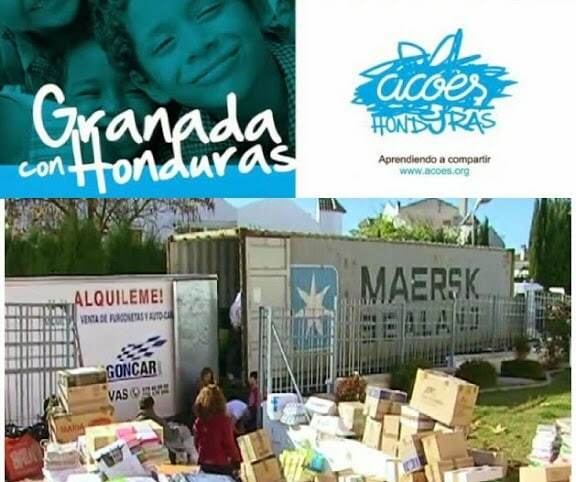 Money is collected from few large organizations, I remember the Canadian Government sending containers with food and clothing, the Spanish counterparts of ACOES and several local organizations financing large container shipments filled with all sorts of necessary items such as food and supplies. But mostly, the schools and kindergartens are financed and sustained by individual donors who sponsor a kid or a teacher. Every year, the kid will write a Christmas card for the sponsor and this will be mailed together with the kid’s progress report at school. This solidarity is what Padre Patricio built ACOES on, on the belief that we if you are touched by the reality on the ground you won’t be able to stand still and not help. I have always admired the scrappiness and nil cost model of ACOES. Costs are kept to such a minimum that even with the current size of the organization where over 10,000 of kids get at least a meal a day and an education, the postcards are still manually collected from the rural areas by volunteers and taken to Spain by anyone visiting at the time so no money is spent even on stamps. Since most of the donors are located in Spain there are counterpart local representations in several cities made up of all those volunteers who have been to Honduras and have continued to support from the distance. They take care of finding and keeping in touch with donors, collecting their money and sending it in bulk through a bank that agreed to wave the transfer fees. They do all this expecting nothing in return so no money is wasted on administrative affairs. Volunteers have always been the soul of the project. Be the local Honduran taking care of the administration on the ground or the Spanish volunteers who spent some time helping out and continue the network of donors from home, everybody contributes their little grain of salt to making this one of the most incredible shows of human generosity and gratitude I have ever seen. Padre Patricio always encouraged people to visit. Even if we did not really help out in any material or relevant way he believed that by getting to know the project and by being in touch with the reality of poverty and the lack of opportunities in Honduras he had already accomplished a valuable objective: sharing their story and fighting of a fairer and more just world. And he was very right. Even if at times volunteers brought problems, some of them got drunk, they disrespected the locals or even created more problems than they solved (this was a very small fraction) he always believed there was value in the human connection and in spreading the word among those living in more privileged conditions. Once you have been touched and you have truly understood the reality of not having the opportunities we have, you are changed for life and this solidarity and responsibility that you earn through seeing with your own eyes cannot be learned any other way. It is only through living it in first person that social commitment is created. And he must be very right because most volunteers continue helping years after visiting, take myself as an example. I have kept in touch and supported the education of a few of the kids through the last 12 years and although I have lived at the other side of the planet for the last decade I have always maintained the connection. It is easy to block an image on TV or on a newspaper but you can never wipe off the times you live and share with those who did nothing wrong but being born in the wrong place. After leaving I understood that this was possibly the most selfish time of my life. I did not give anything to the local population and my contribution was a drop in the ACOES ocean but I felt better than I had ever felt before or would ever feel after. The act of giving is possibly the most selfish of all because you derive unlimited happiness from it and, often times, you do it for yourself, for the retribution, for the reward, for each and every smile. I only wish more people were selfish like that. If you would like to visit the project or to help in any way please drop me a line and I can help direct you to the right person in ACOES.